Dental Implant can't be more reliable and safer! Those days are over with bloody, swelling dental implant surgery! At Park Dental, we plan and make a surgical guide before your implant surgery, it will be easier and better! All implant patients here testimonies the implant surgery were better and smoother than they expected. If you have a missing tooth, you don't have to live with it because of fear anymore! Call us to schedule your appointment at Park Dental Clinic! 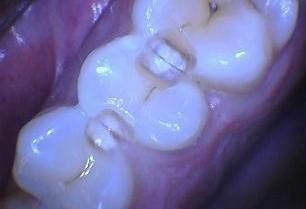 When to fix my caries? Your dentist told you that you have caries in your mouth. He/She recommends to go ahead fix your teeth but it didn't hurt yet. What should you do? When we diagnose a sign of caries in your teeth, there are multiple factors to consider such as oral hygiene risk, diet, caries location, etc. Always ask how they look on the radiographs. If you see more than just a little bit on the radiographs, you know you have work cut out for you! Your dentist will recommend a treatment plan based on those factors. It can't hurt to take your dentist's recommendation. Find a dentist who you can trust! What is caries or cavities? You may have been told you had caries in your teeth. We won't be able to tell with our naked eyes, radiographs will tell us about that. If you've been to our practice already, I don't always recommend to fix the caries right away but depending on how big it is, I will have to recommend to fix it right away. After tooth color like fillings finished, you have to be able to use a dental floss and hear the click sound when it passes between the teeth. Your bite should feel the same as before as well. 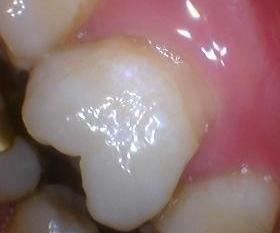 Well-done fillings can last for a while. Is It Too Sensitive to Drink Cold Water? Too painful to drink cold water? Does it hurt when you brush? It's not fun if you can't drink cold water under Texas heat! Adding a layer of tooth-colored composite might eliminate that painful feeling whenever you drink cold water. Simple easy solution may not be too far away! Did you have bad memory with a dental office? Are you nervous about having a dental treatment? No more at Park Dental! We provide sedation dentistry at very affordable price! Give us a call to schedule your dental appointment! "When I have some pain in my teeth, where should I turn to? Or if I want to have establish a dental office for routine cleaning and exam, where should I go?" These are very common questions you may be dealing with all the time. If you search "dentist near me or dentist in your city", it will provide hundreds of dentists to choose from. When you choose your dental home, the most important aspect is whether or not you are comfortable with them when they present your needs or when you have some questions, etc, NOT the price. You Don't Have To Hide Your Smile! Do you have to hide your smile with your hand because of some dark spots on your teeth? Maybe it's not that hard or expensive to fix these issues. Give us a call to schedule your visit with us to evaluate! Restoring your beautiful smile is why we are here!